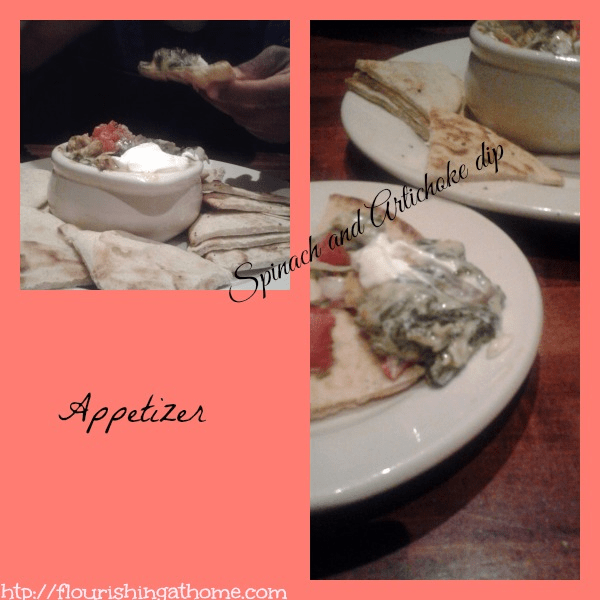 Two weekends ago was hubby’s birthday. My intent was to invite some of our friends over to celebrate with us but I decided to just go out with him instead. On Thursday, his workers held a surprise party for him at work. Then on Friday, I corresponded with a co-worker of his to order lunch for him from one of his favorite restaurants, Boston Market. There is one about 1 mile from his job. His co-worker pre-scheduled for them to have lunch together so he would not go someplace else. Then on Saturday, we pretty much stayed home and did nothing much. I did a few loads of laundry/folded and put away and a little bit of cleaning. Hubby had a blood test and then watched movies all day (he was excused from helping because it was his birthday)LOL. Then Saturday evening around 4pm, some lovely folks from our church watched our kids so we could go out. 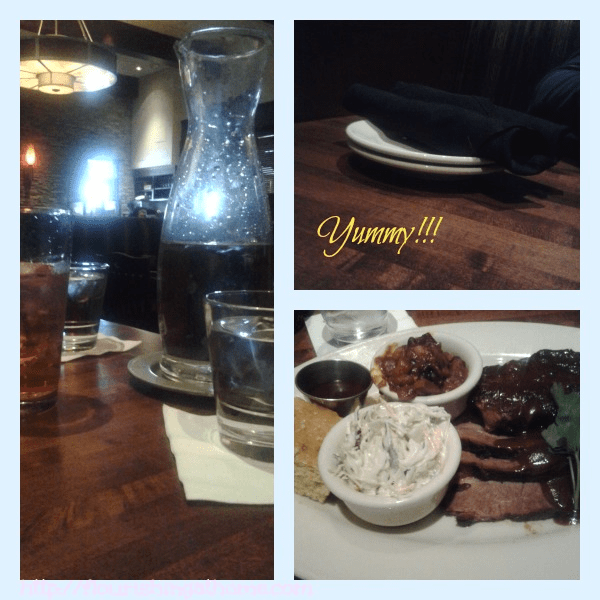 We ate at Weber’s Grill (funny, the people who watched our kids carry the last name Weber, too)! 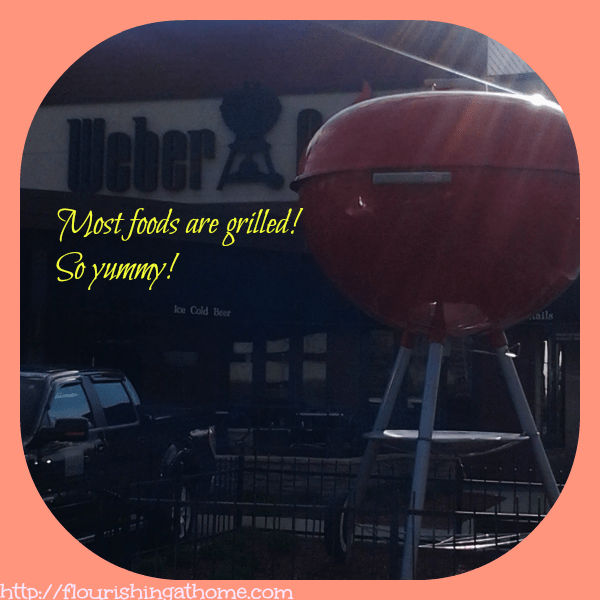 Most food are grilled and so very yummy! 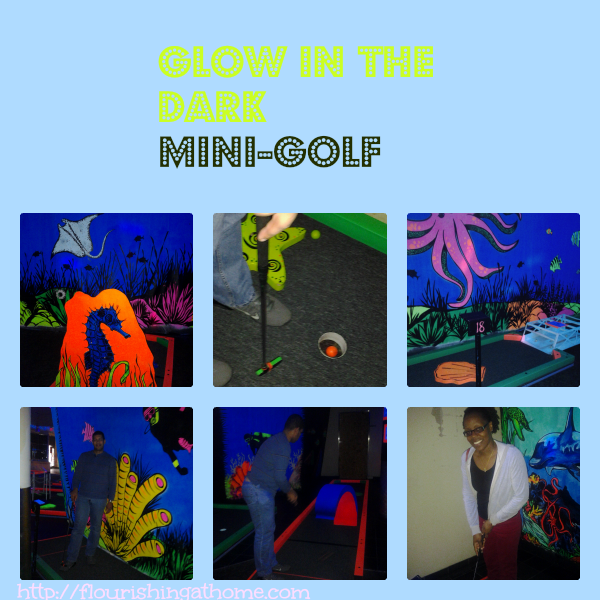 Then we went to the Woodfield Mall and played glow in the dark mini golf. You see, mini-golf is something we always did together before we had kids. There is nothing much to it but it is something relaxing that we liked to do as a couple. 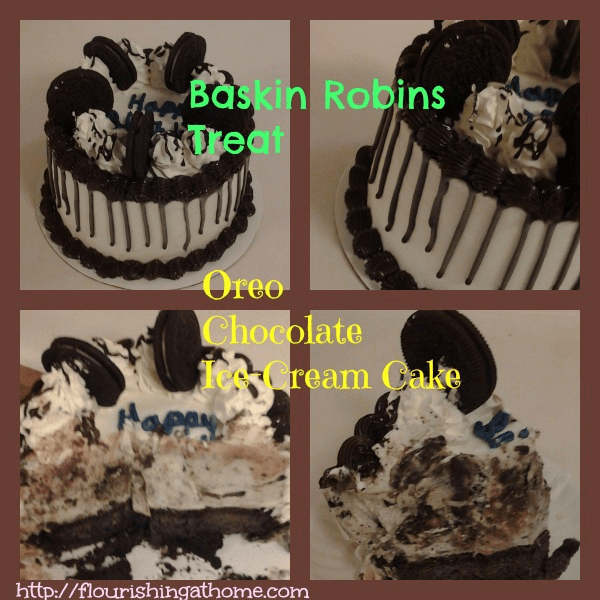 After we picked up our kids from the babysitters, we picked up a pre-ordered ice-cream cake from Baskin Robins and went home to celebrate with the kids. 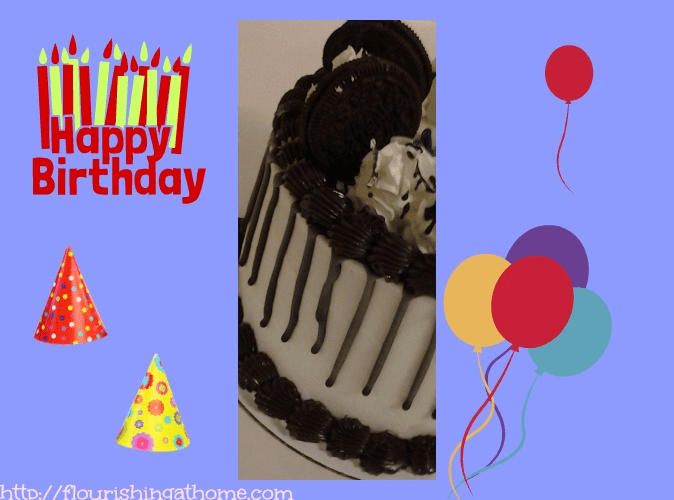 Who can resist ice-cream plus chocolate plus Oreos? So that was hubby’s birthday in a nutshell. How fun!